As a healthcare professional, patients rely on your advice to live healthier, longer, lives. That is why it is vital to discuss how oral health and water fluoridation can help them do just that. Here are tools that can help! 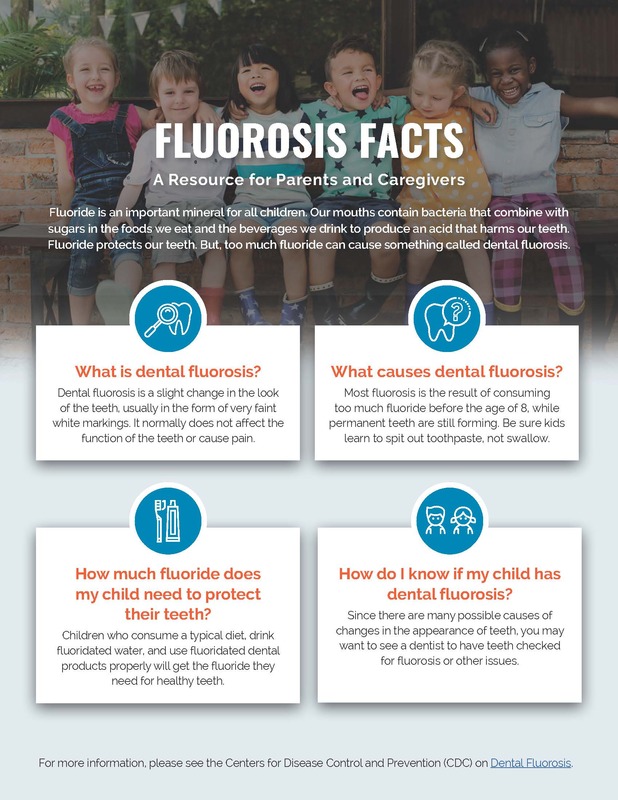 Gives health professionals a quick, thorough understanding of dental fluorosis and includes photos, follow-up resources, and suggestions for counseling on prevention. Explains sources of fluoride, dental fluorosis, and gives parents stepwise guidance on preventive oral health care. 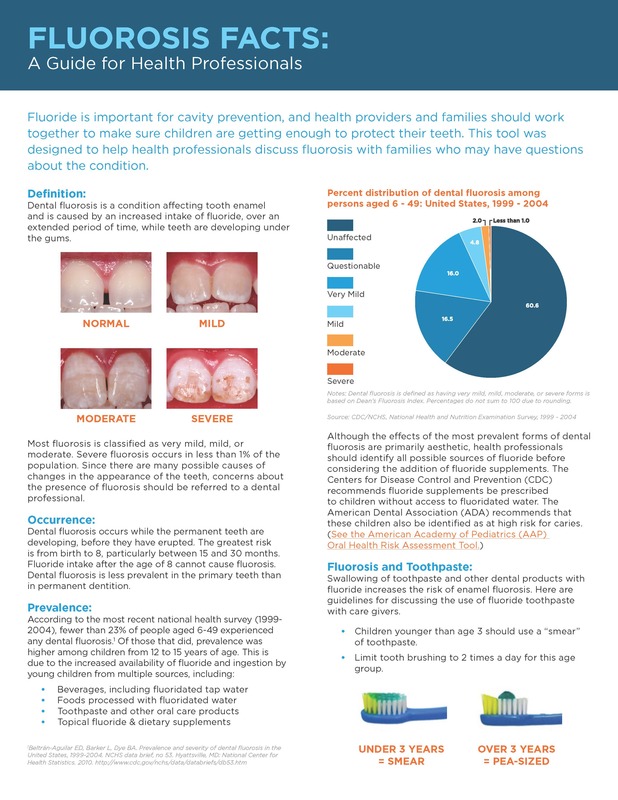 A companion to Fluorosis Facts: A Guide for Health Professionals, this handout lets your patients leave the office with helpful information in hand. Oral health is an integral part of overall health. 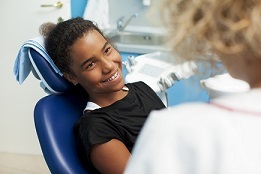 Research has linked poor oral health to diseases such as diabetes, stroke, and heart disease. Fluoridated water is just one of many foods and beverages that are fortified in the U.S. to improve health. Fluoride occurs naturally in almost all water but not always at levels that effectively prevent tooth decay. That’s why we practice community water fluoridation. Just as we add vitamin D to milk for healthy bones and folic acid to bread for healthy red blood cells, we adjust fluoride in water to the optimum level to prevent tooth decay. 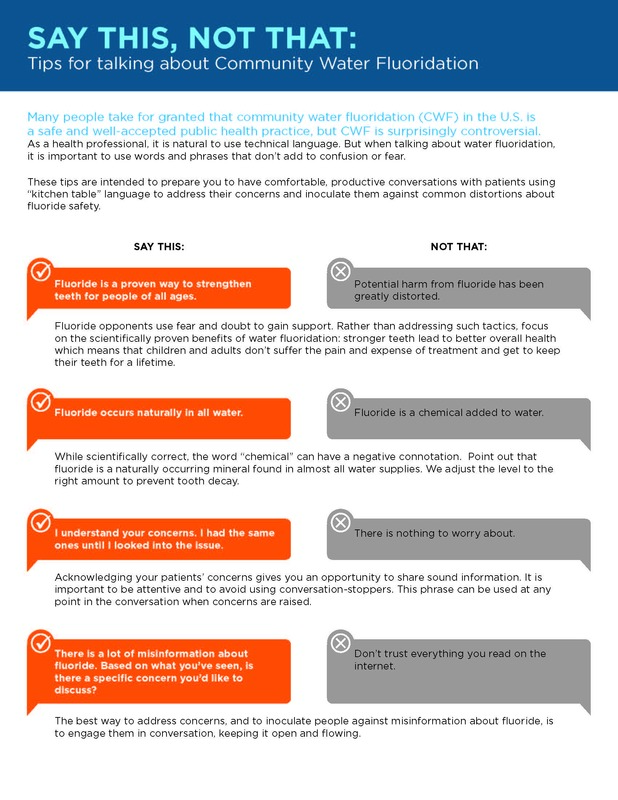 Water fluoridation is safe, which is why so many of the leading health and medical organizations support it. More than 3,000 scientific studies and research findings have been published on fluoride. The overwhelming evidence supports the safety and effectiveness of water fluoridation. It is endorsed by the Centers for Disease Control and Prevention, the American Academy of Family Physicians, the World Health Organization, and many other respected health and medical organizations. 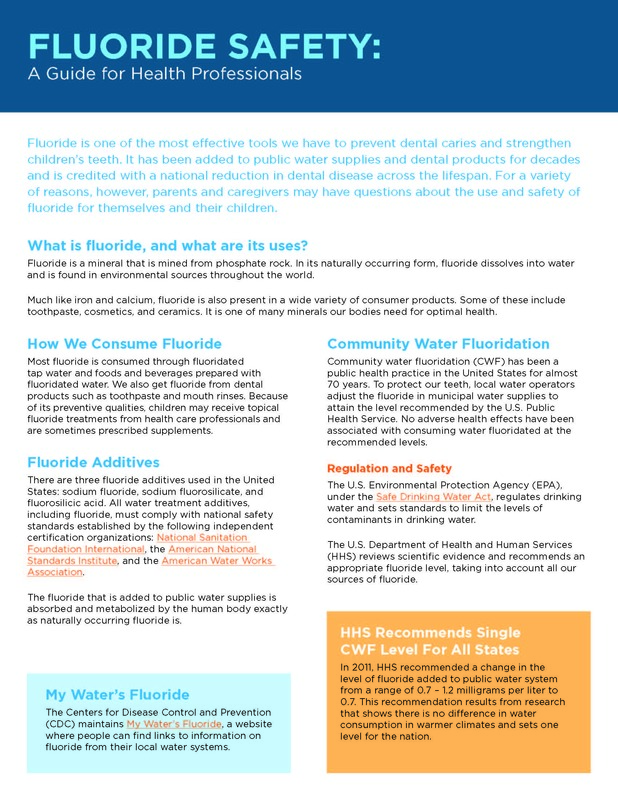 Community water fluoridation is credited with reducing tooth decay by as much as 25%, and that is over and above the effects of fluoridated products such as toothpaste and mouthrinse. Policy and Information from America's Leading Scientific and Consumer Advocates.